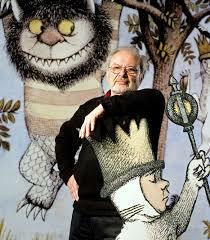 Today 85 years ago, American author and illustrator Maurice Sendak was born in Brooklyn, New York, in a poor emigrant family from Poland. His major breakthrough was Where the Wild Things Are, 1963, where he all at once revolutionised the entire picture-book narrative. Unlike any other contemporary picture-book artist, he changed the entire landscape of the modern picture-book – thematically, aesthetically and psychologically. Primarily it is in the dozen or so books that Sendak has both written and illustrated, where he penetrated the most secret recesses of childhood. He received a spate of awards, and in 1993 he was announced as the first recipient of the Astrid Lindgren Memorial Award (together with Austrian author Christine Nöstlinger). 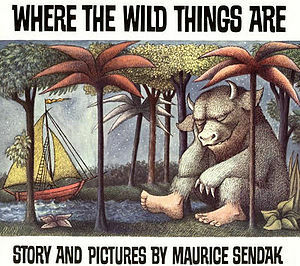 Maurice Sendak passed away in May last year, and today we remember his works, not the least the characters in his books. Even Google commemorates Sendak with an animated doodle based on some of his best-known books. This entry was posted on June 10, 2013 at 7:08 am and is filed under Maurice Sendak. You can follow any responses to this entry through the RSS 2.0 feed. You can leave a response, or trackback from your own site.